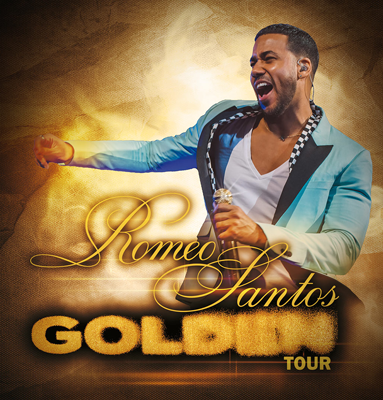 The King of Bachata, Romeo Santos, confirmed details for the second leg of his highly popular Golden Tour, which wrapped in April of this year. The newly announced fall run of dates, produced and co-promoted by Live Nation, will kick off September 15 in Las Vegas, NV. The 18-city U.S. outing will also make stops in several brand new cities previously unvisited on the last leg of the tour including Greensboro Coliseum on Saturday September 29, before wrapping October 21 in Dallas, TX.